We did a Toddler Paint Hour series every Friday for a month where each week we introduced a new method of painting to the group. 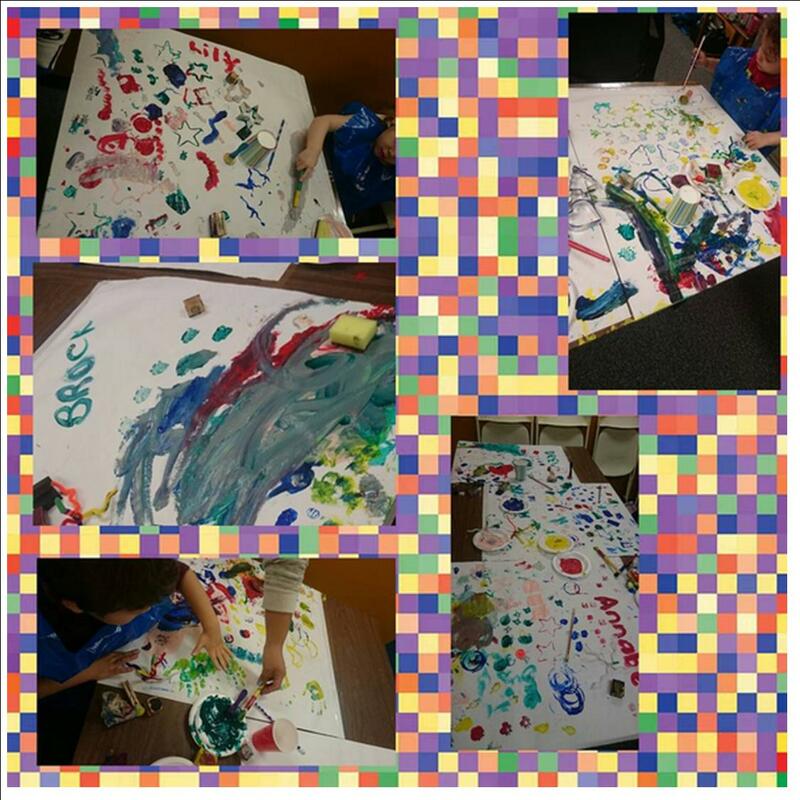 Week 1: Stamp Painting - we gave the kids different items to "stamp" paint onto huge white pieces of paper. Items included: cookie cutters, paper towel rolls, foam shapes, ink stamps, cotton swabs, and pom poms. Week 2: Yarn Painting - we dipped yarn into paint and dragged it along our paper to make art with yarn strokes. We also had toilet paper rolls wrapped in yarn to roll over out paper to create cool designs. Week 3: Bubble Painting - using dish soap, water and washable paint we blew bubbles using drinking straws and stamps small pieces of white paper over the bubbles to create an imprint. Week 4: Fingerprint Art - I taped foam shapes onto pieces of paper and had the kids "trace" the image and the rest of the paper with their fingerprints. We then removed the foam shape and we were left with a cool design. All supplies used were items already in the Library, so no money was spent on this series. To provide a weekly toddler series that was more complicated than our regular story time crafts. Bubble painting was extremely popular. I would take out yarn painting, it wasn't very popular.